Earn up to 10 CME credits; 100 multiple-choice questions. Identify subject areas in musculoskeletal trauma that are unfamiliar to you. Better understand underlying principles and techniques, with a focus on specific issues and emerging concepts and treatments. Written to target the knowledge of an orthopaedic surgeon with 10 years of clinical practice experience. •Apply clinical decision-making and imaging interpretation skills in the treatment of musculoskeletal trauma patients. •Determine appropriate treatment techniques for injuries to the upper and lower extremities, pelvic ring, and acetabulum. •Apply principles of fracture fixation for injuries to the ankle and foot. •Manage complications associated with musculoskeletal trauma care. 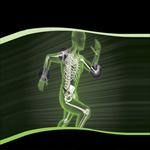 •Apply biomechanical principles supporting current treatments for treatment of musculoskeletal trauma. •Use appropriate anticoagulant treatment for musculoskeletal trauma patients. Credits earned by completing this Scored and Recorded Special Interest Self-Assessment Examination can be applied to the scored and recorded self-assessment requirements as mandated by the ABOS Maintenance of Certification (MOC) process and will count toward the CME credit requirement, as well.